The 28th instalment in a series of lessons learned over the years. What do I know now that I didn’t then? What wisdom would I impart to my younger self, given the opportunity? This lesson also formed part of a lecture given for the May Process forum, The Jump, exploring the challenges faced when setting up a practice. Process is a monthly information sharing series curated by the Victorian Young Architects and Graduates network. We currently run Mihaly Slocombe out of our spare bedroom. Our dining room, which is located at the front of our house, has one wall lined floor to ceiling with our architecture books, and doubles as our meeting room. There is comfort in this arrangement, a threat to productivity no doubt, but a pleasure nonetheless. The commute time is exceptional – I can’t even begin to imagine where in my life I would find the two hours it used to for me to get to and from my old workplace. I never have to prepare my lunch in the morning, leftovers are reheated or jaffles are toasted as I feel like it. Working late if necessary isn’t a hassle as I can do it from the couch, all my resources still accessible but slippers on our feet. The hours I work are flexible. Between three of us, we collectively work 9 FTE days a week. If I have to I can shift my days and hours around to attend workshops, visit remote sites, or take days off. I can match our practice work with teaching, other projects and, most importantly of all, parenting. Our two year old son sees more of both his parents than most children and, in return, we have the joy of always being around. We have lunch together and Oscar works with his Daddy a few times each day, studiously playing with my phone while sitting on my lap, my arms wrapped around him to reach the keyboard. 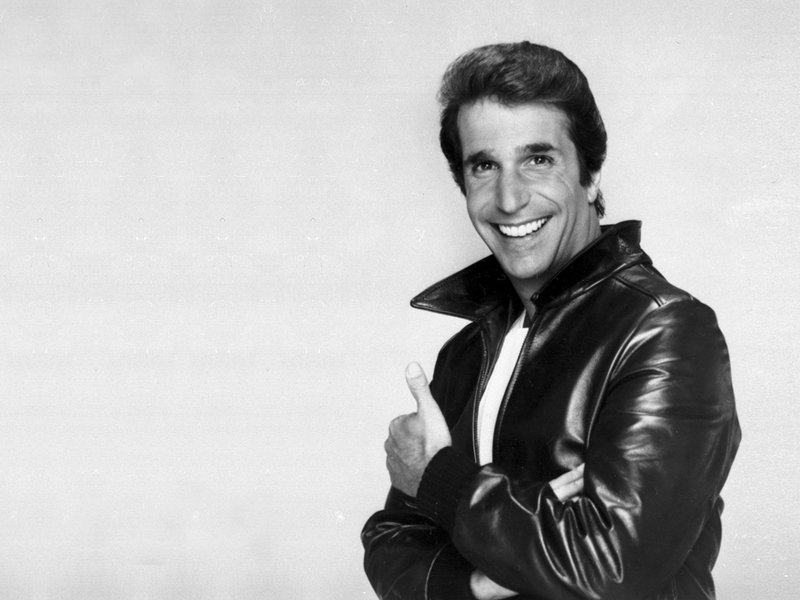 The Fonz. Wait Wait… Don’t Tell Me!, copyright Associated Press.